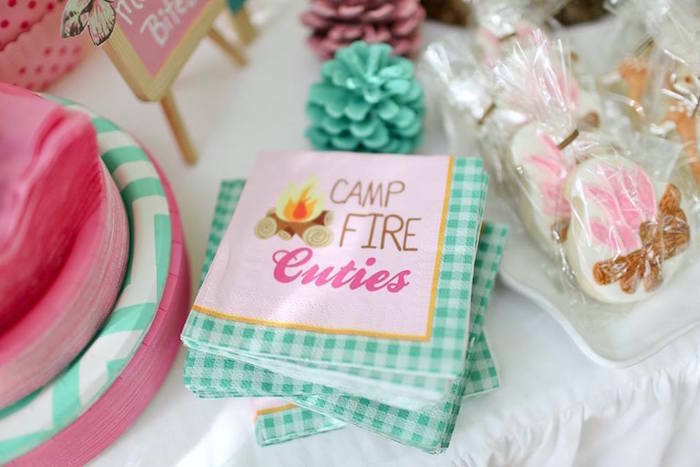 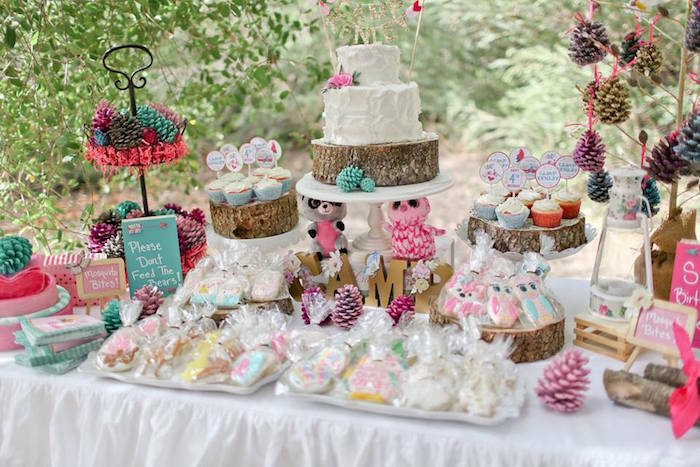 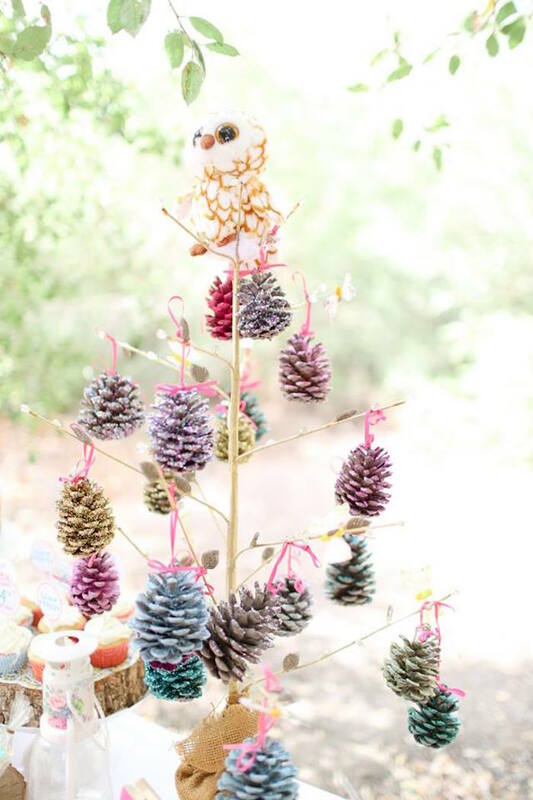 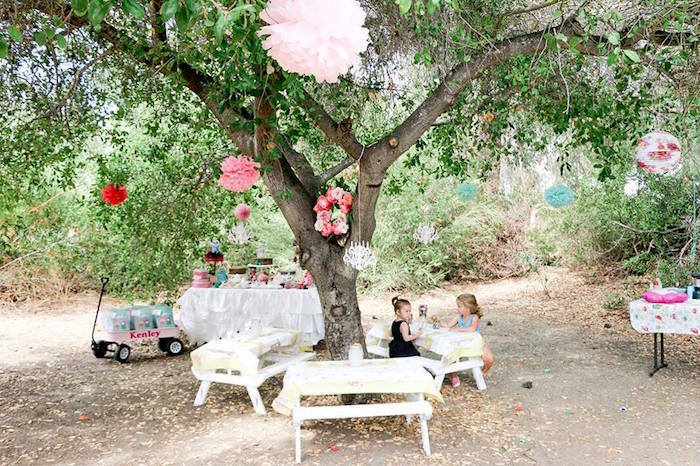 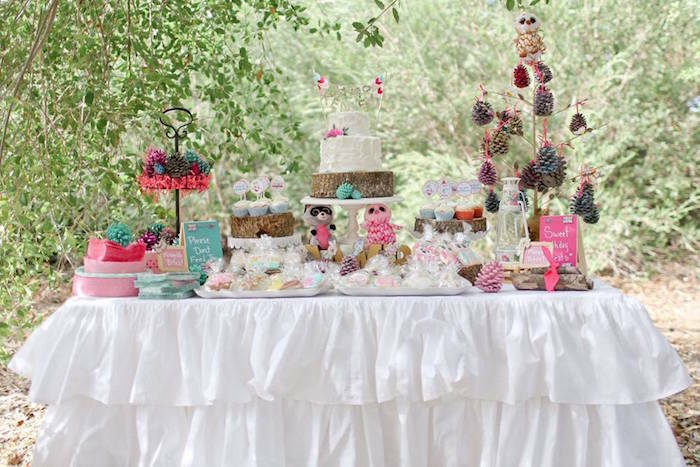 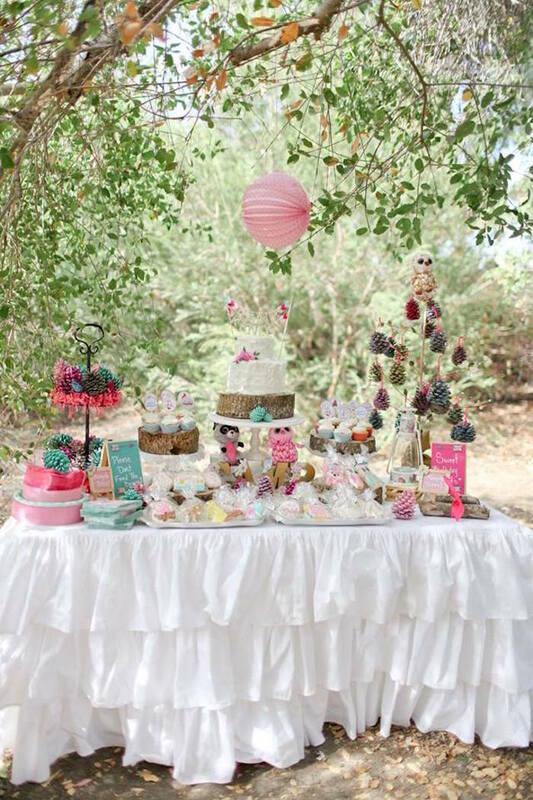 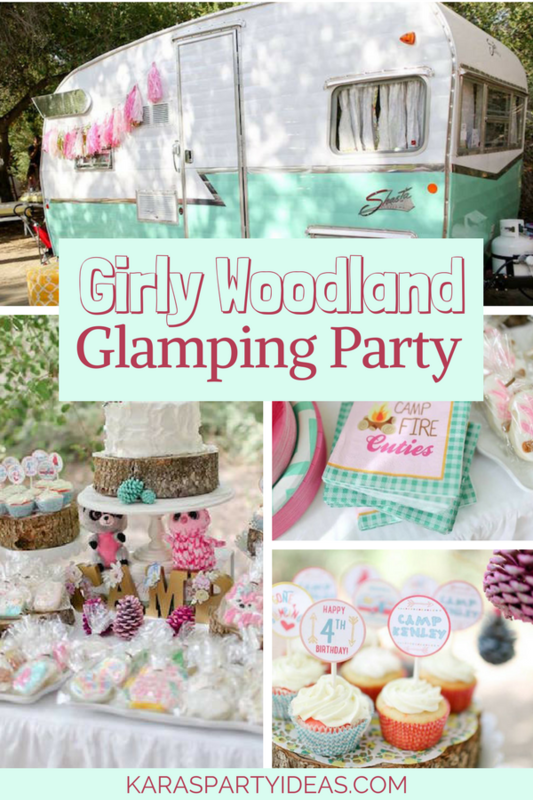 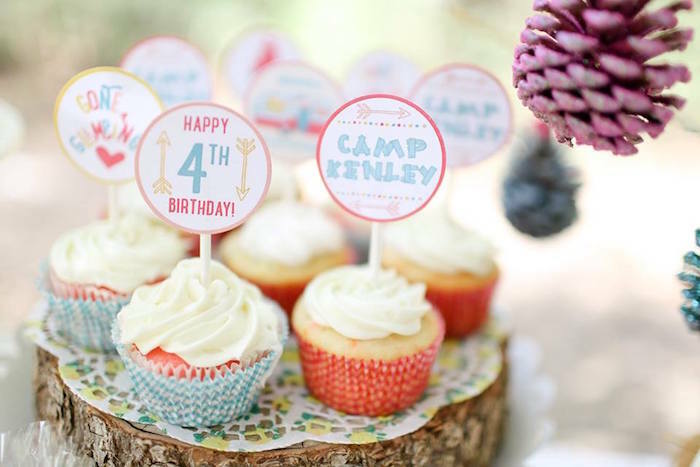 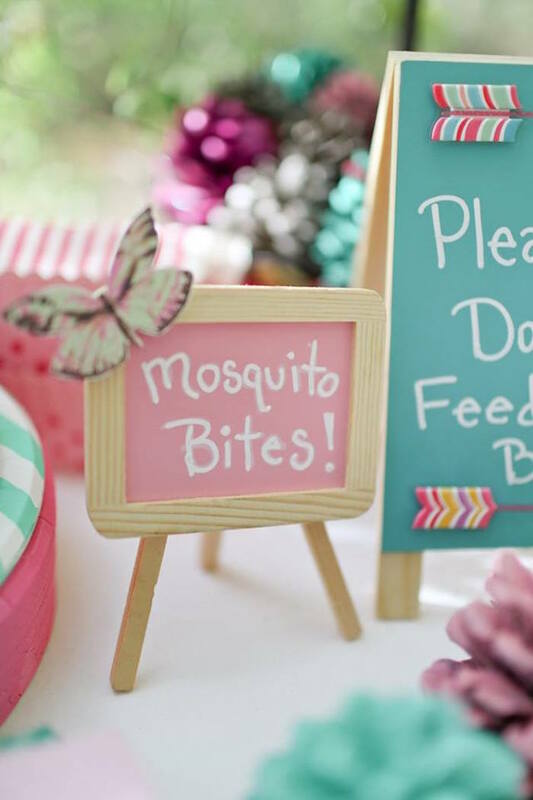 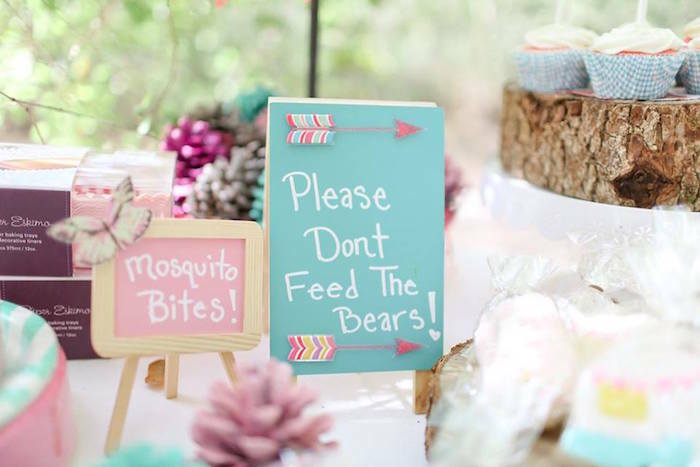 Calling little ladies both tiny and tall, this Girly Woodland Glamping Party, is packed with fun for all! 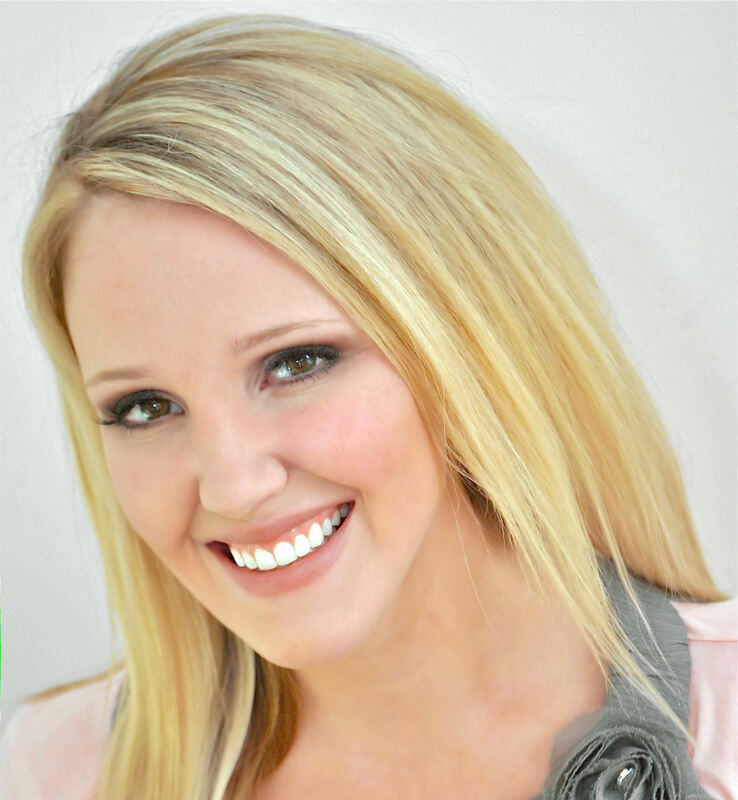 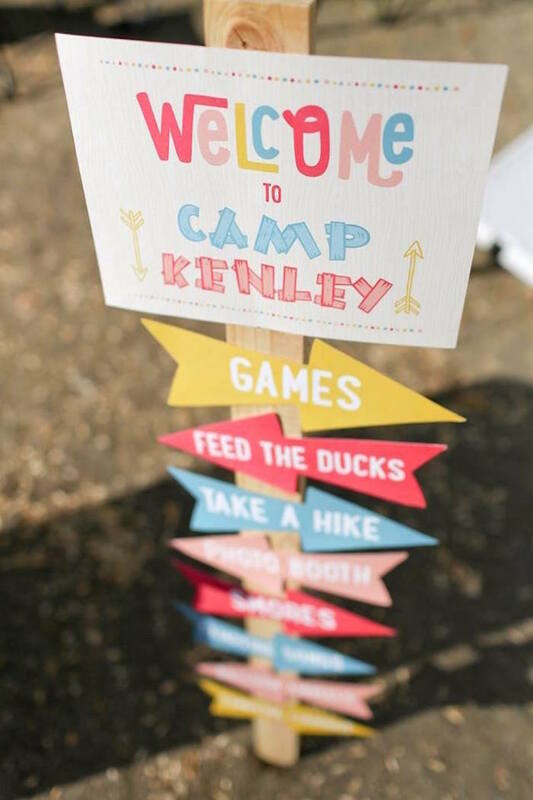 This is what Candice shared about the party- “What a wonderful way to spend Kenley’s 4th Birthday at Camp Kenley! 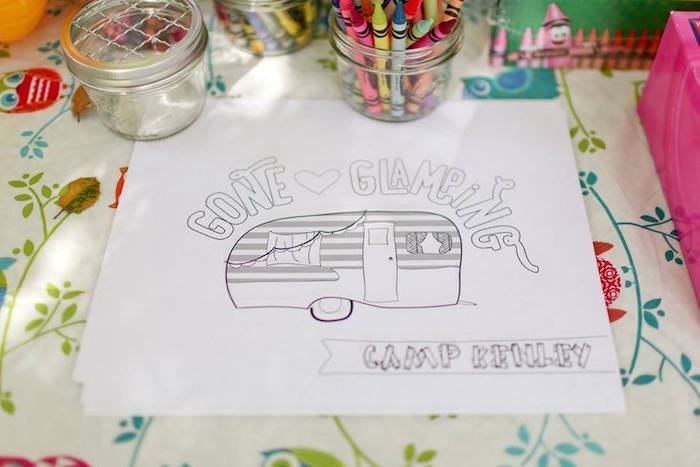 We celebrated in glamping style with friends & family camping for the weekend at Guajome Lake Campground. 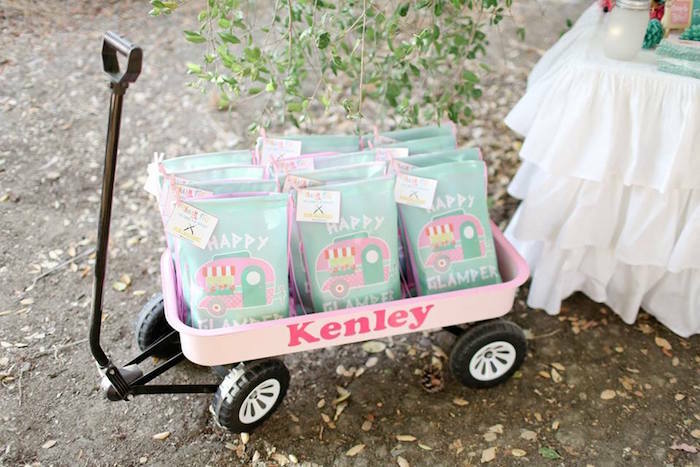 Kenley has so much love all around her and she had a blast. 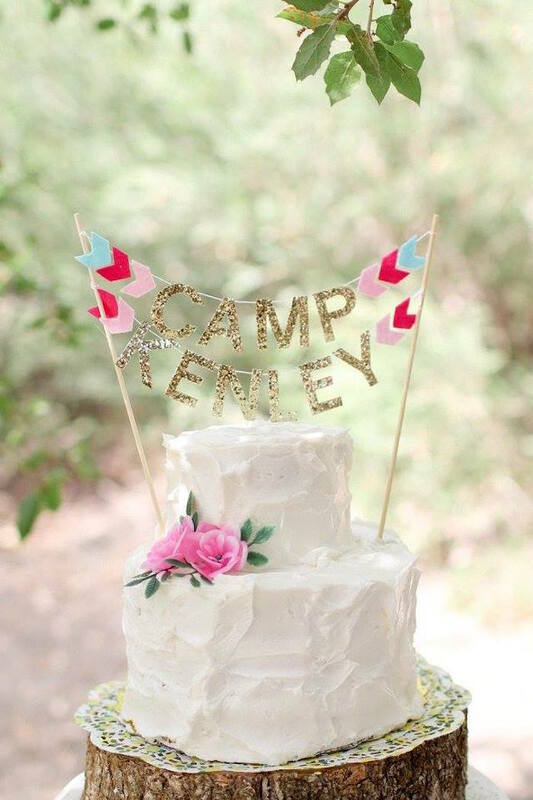 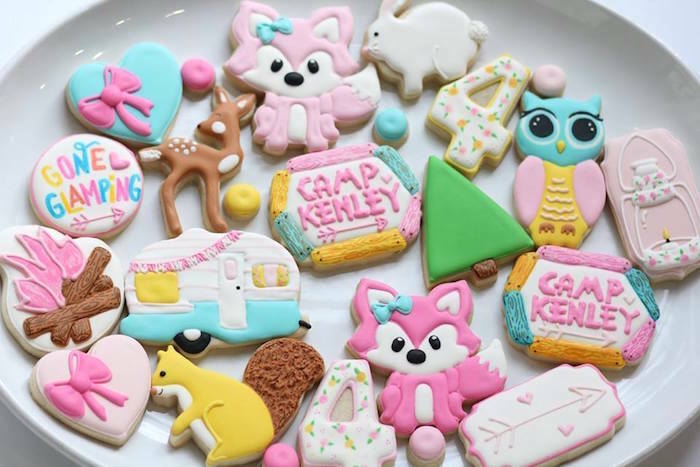 Planning a glamping party was so much fun and so worth it when Kenley said her campsite/party looked beautiful. 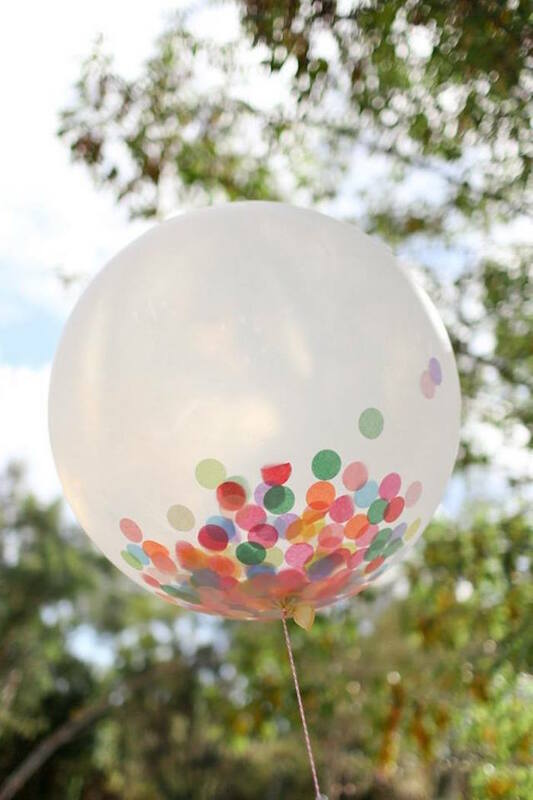 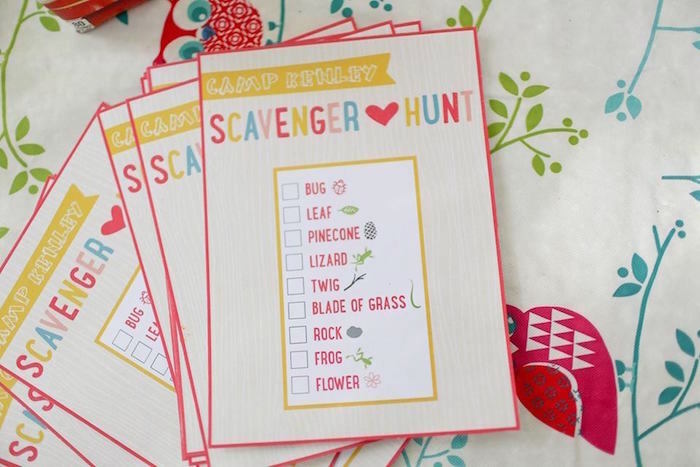 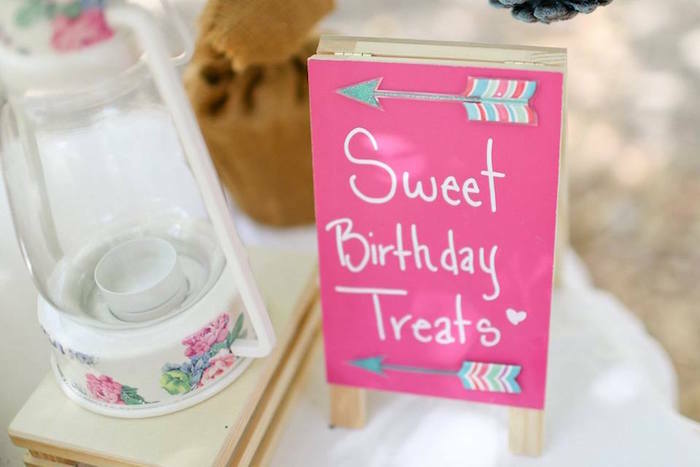 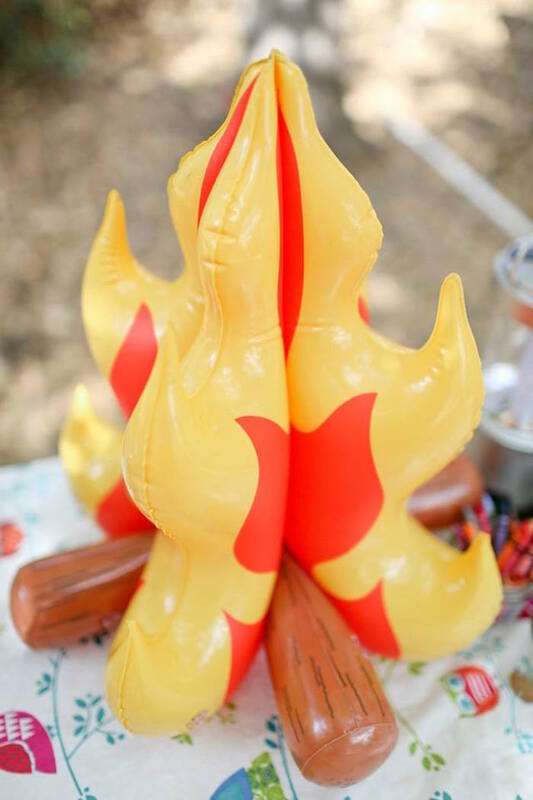 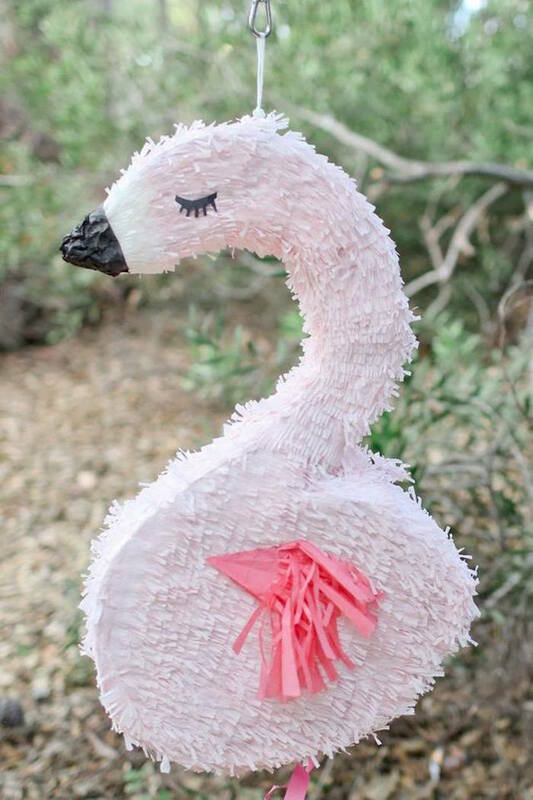 She and her friends enjoyed a scavenger hunt, photobooth with camping props, balloons & campfire songs by the AMAZING Andyman Balloons, glamper coloring, glampy flamingo pinata, campfire cookout dinner, cake, cupcakes, cookies & smores (for those who partied into the evening with us). 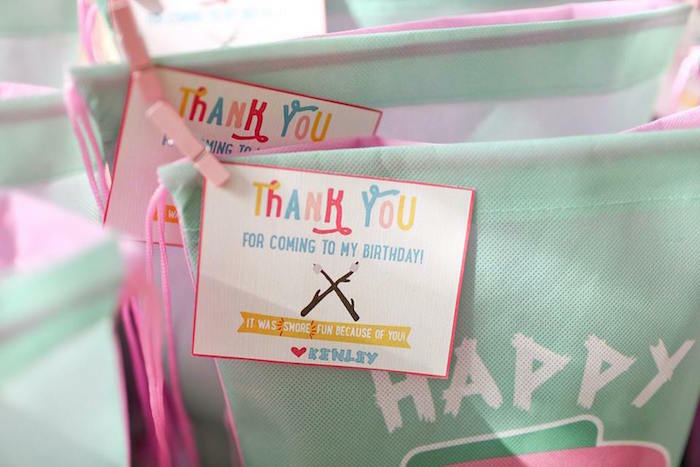 We are so grateful to everyone who came”! 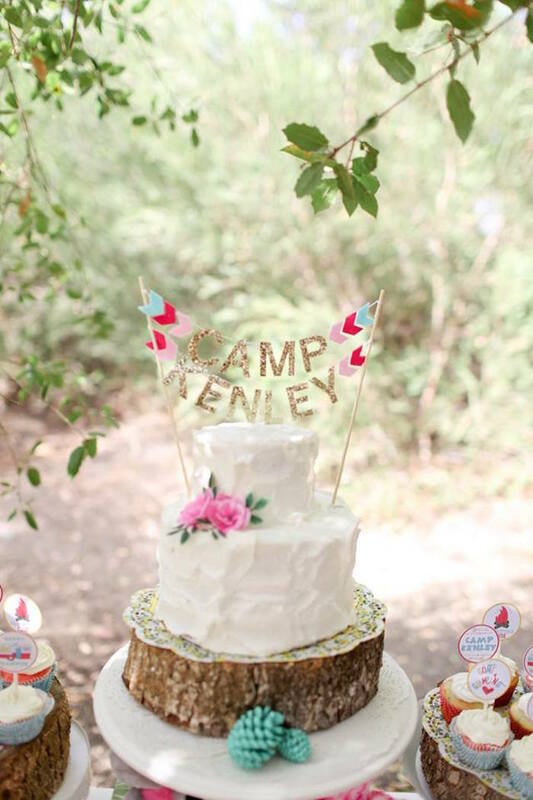 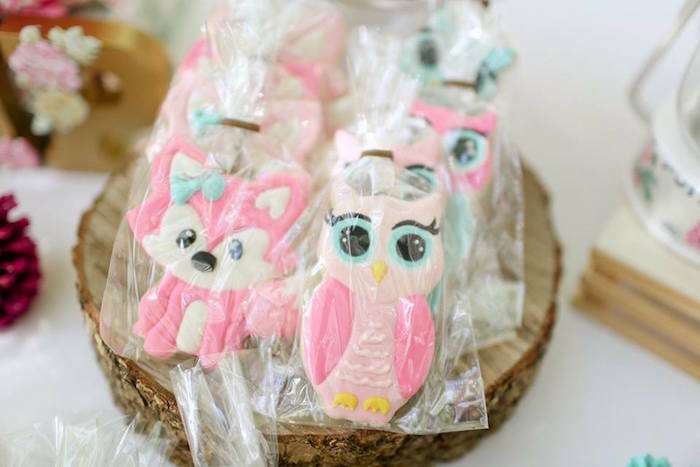 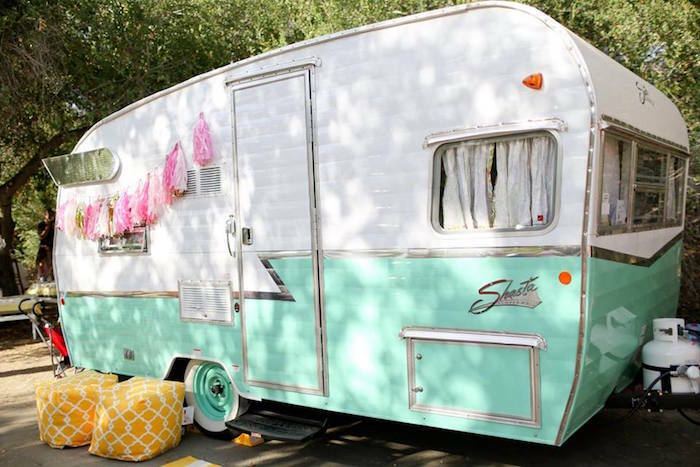 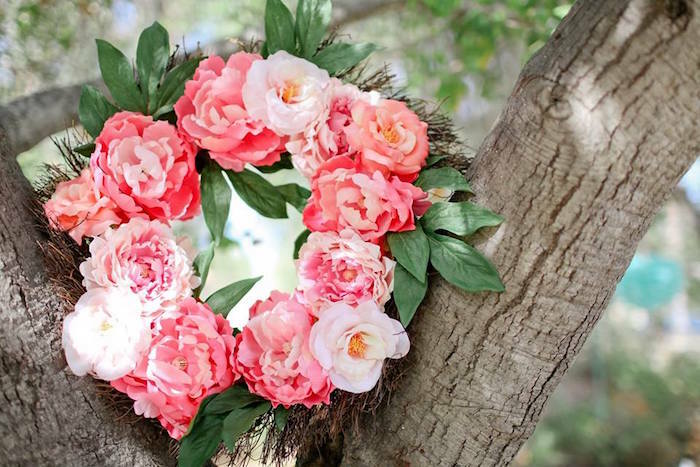 Glam it up with the inspiration found in these glamping parties!